Eastside is hosting a Community Wide Seed Swap on April 16! Join us for this fun spring time event! 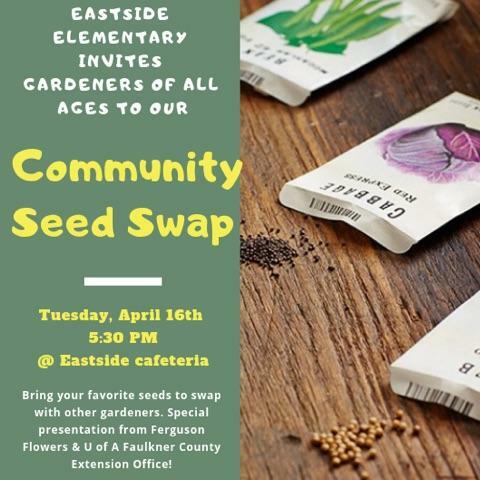 We will have a local florist, Ferguson’s Flowers, and the U of A Extension office of Faulkner County here to give presentations and share their knowledge of gardening. We are excited to host this event and look forward to meeting gardeners of all ages to share seeds and wisdom! We hope to see you all there and help us spread the word!